New clients for Manchester-based agency include The Hut Group, Puma and Swinton. 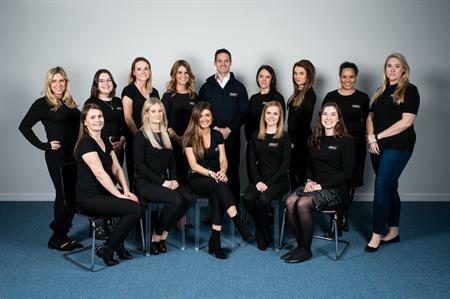 Make Events has announced that its year-end figures will be up 131%, following a brand reposition in June and multiple new client wins including, The Hut Group, Puma and Swinton. It has also hired three new team members, Amy Beresford, Lucy Fegan and Charlotte Russell. Beresford joins as senior creative producer having previously worked at Owl Live, Journey9 and as event director of the Northwest Football Awards. She brings a strong understanding of the corporate events market, having managed experiential campaigns and activations for leading global brands including Qatar Airways, Barratt Homes, Pets at Home, Manchester Airport Group and Jaguar cars. Recently graduated, Fegan joins as marketing executive following an internship with the agency. She is the first member of the new sales team that will grow over the coming year with the appointment of a commercial director. The venue finding division of Make Events has also welcomed a new member, Charlotte Russell. Russell started at the agency in 2016 on a work experience placement. Having travelled the world in her previous role she is well-versed in securing venues and destinations for clients in the UK and overseas. "We are recruiting at two levels now. Bringing in experienced talent and then supporting that with more junior members who have already proved they can uphold the Make Events values during their work experience," said founder and director Holly Moore. "We are an agency that upholds employee engagement in everything we do; that includes a wealth of employee benefits, employee engagement events and training. We are committed to delivering the ultimate experience for our clients and team."